California is celebrating Sikh Awareness and Appreciation Month this November in the state legislature, public schools, various cities, and even with the Los Angeles Clippers basketball team. In the Information Age we have an extensive new technical vocabulary, but our vocabulary for states of consciousness is still woefully inadequate. Guru Nanak described the state of consciousness of moment-to-moment acceptance as “Sahej”. Pte. Buckam Singh may have died with only a few of his fellow soldiers around him at a Kitchener hospital 97 years ago, but his life is commemorated each year by hundreds of area Sikhs. When I heard this Vaar today by Bhai Gurdas, my hunch said that Gurbani has Great Wisdom and there is a deep advice & message in these lines. Thousands gathered to explore offerings of numerous diverse cultures in the 20th Annual Culture Fest of Springfield (Ohio) held at the Springfield City Hall Plaza. There was an echo of laughter in the streets of Patna 350 years ago, when the amazing soul of Guru Gobind Singh Ji was born. It was in the Vesakhi of 1508 Guru Nanak Ji, during the course of his first UDASI, arrived at Haridwar, and shared the message of the TRUTH with the people. Sikhs around the world celebrated on Tuesday the Vaisakhi New Year festival, one of the most important dates on the Sikh calendar. Vaisakhi, also spelled Baisakhi, is marked annually on either April 13 or 14 with large public processions known as Nagar Kirtans. Congratulations to the entire Sikh world and our friends in other faith communities on the sacred and joyous occasion of the 316th Baisakhi that falls this year on April 14th. 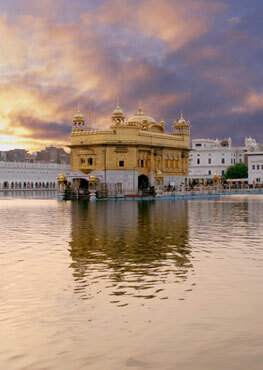 Baisakhi, some people say Vaisakhi, is the most important and transformational event in Sikh faith history.